Monkey Island has a unique and romantic setting, sat within the river Thames near Bray. The Island houses two grade I listed pavilions which were last used as a hotel until their closure in 2015. On behalf of YTL International hotel group, we developed proposals aimed to re-vitalise the buildings and included a new vision to improve operational viability. The site location presented many planning and physical constraint challenges which needed to be addressed. Its river location raised a range of issues including flooding, access, ecology as well as potentially difficult environment agency negotiations. The site fell within a designated green belt area and the buildings on the Island were covered by a blanket grade I curtilage listing. The only access to the island was via an extremely fragile, narrow and decayed footbridge. This had an impact on the ability to properly service the hotel in the past and also presented poor low-grade arrival experience. Our strategy for the redesign of the existing buildings focused on re-engaging with the guest experience. To maximise the front of house and guest spaces, we proposed moving the operational and service facilities off the island. This would require new buildings to be constructed in less sensitive areas, albeit still constrained by green belt development restrictions. 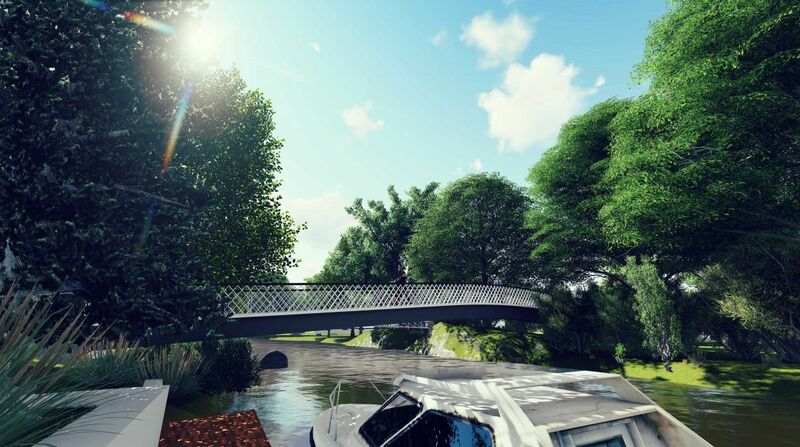 Our recommendation to replace the existing foot bridge on the island so that it could take motorised buggies would enable the hotel to be serviced by the remote facilities. This design strategy will dramatically improve the functionality of the hotel as well as transform the guest island experience. This was a radical design proposal which required careful planning justification management to win the support of the local planning authority. The primary planning case focused on the sustainable operation of the hotel to secure the renovation, maintenance and long-term security of this nationally important Grade I listed heritage asset. Our plans for this comprehensive refurbishment received unanimous support from the local community and planning authority in October 2016. Work is well under way on site, with the hotel due to re-open in spring 2018.